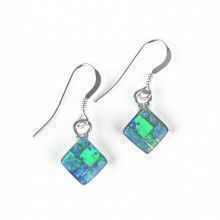 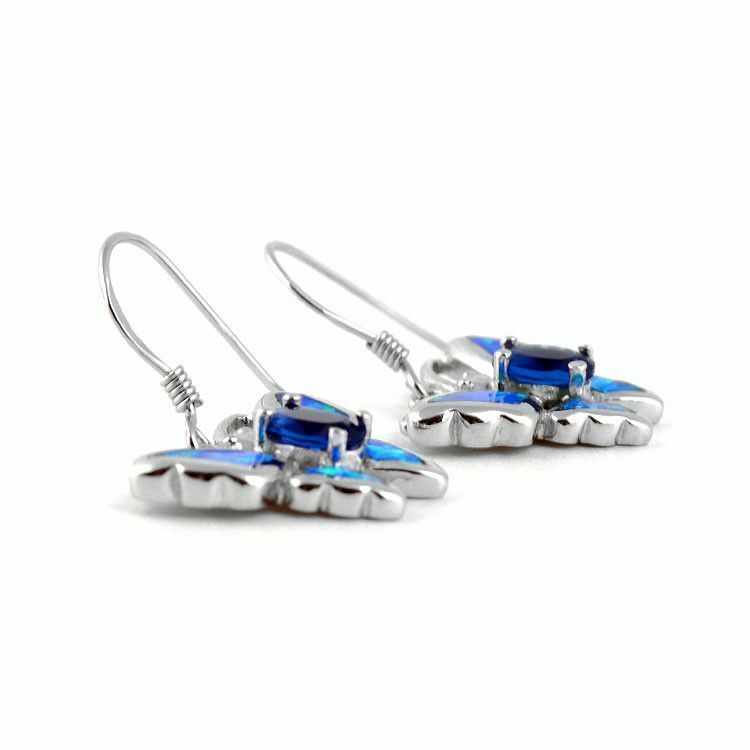 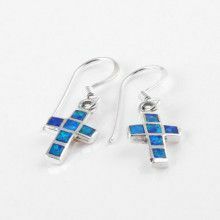 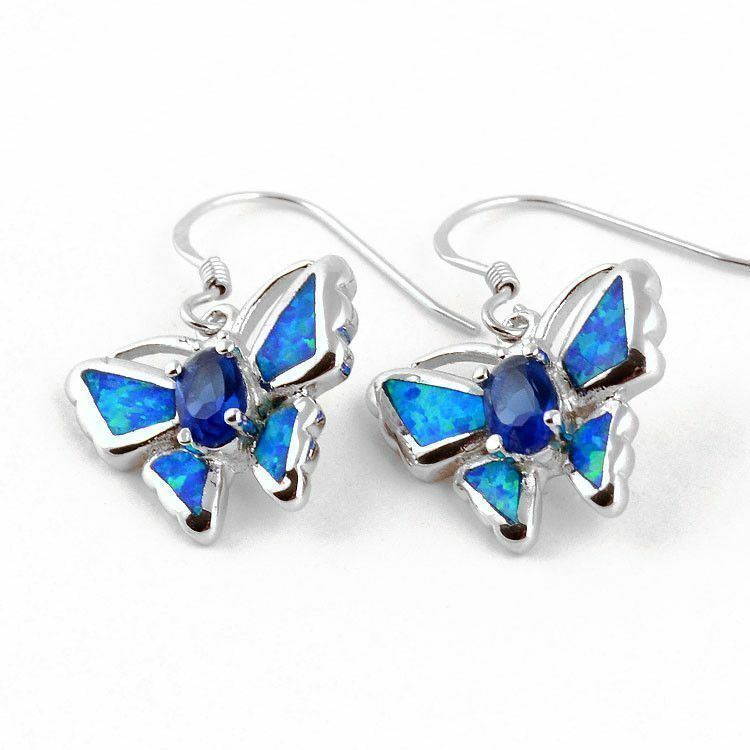 These beautiful earrings were made with genuine blue opal and blue topaz gems, set in sterling silver. 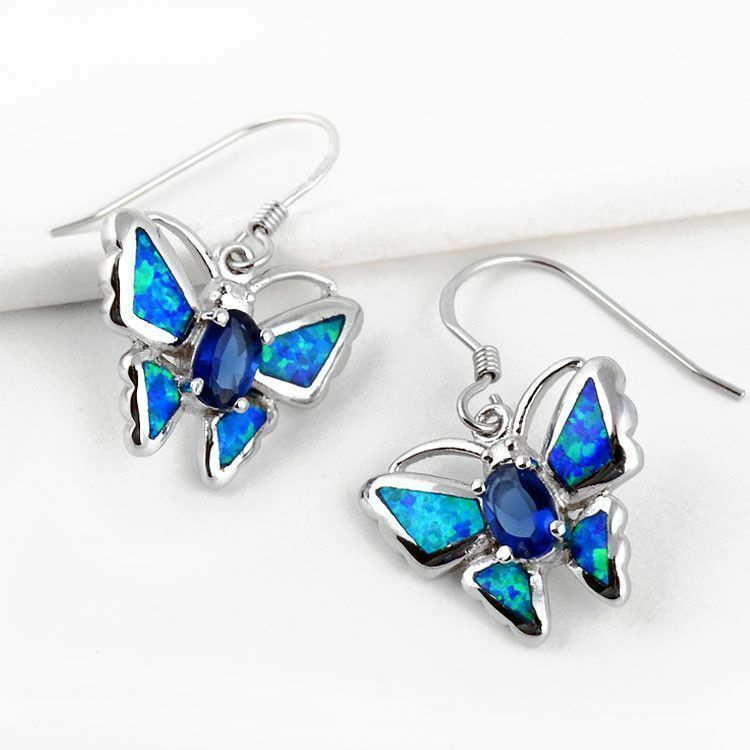 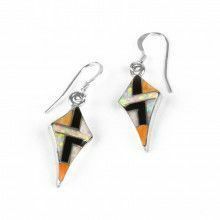 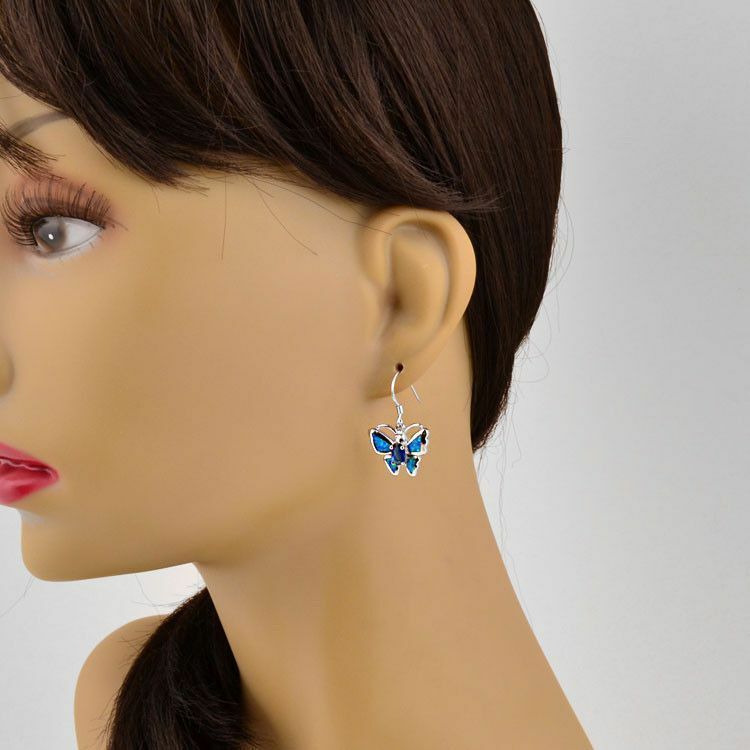 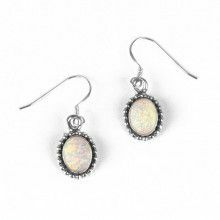 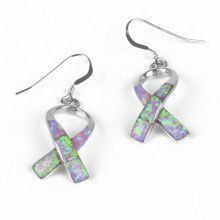 The butterfly is a favorite insect for many people, and these earrings are too! 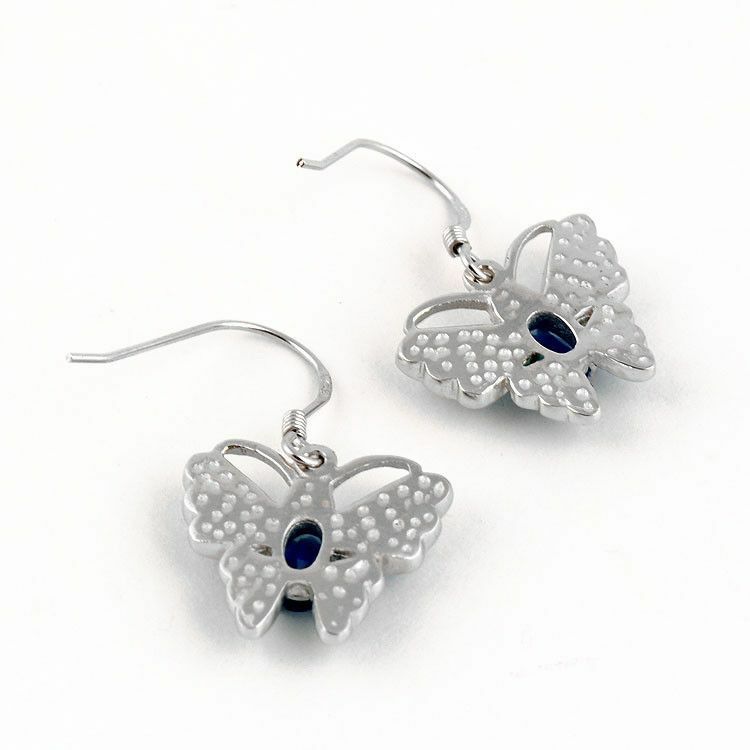 The earrings are approximately 1 1/4" long and about 3/4" wide.